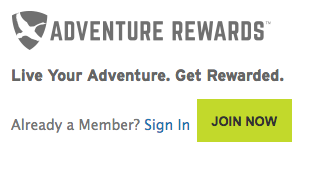 If you have an Eddie Bauer close by you may want to sign up for their Adventure Rewards program, which is free to join. I am signed up and have received quite a few $10/$10 coupons = free or cheap items. I usually buy a shirt from the clearance section that's around $15 and a few weeks later will receive a new $10/$10 coupon to thank me for my purchase so I'll buy another shirt...Since last fall I've gotten 4 shirts, each one cost $5 or less after the $10 rewards, the shirts were originally around $35 each. I'm not sure if you'll get $10 at some point after signing up or if you have to buy something first but either way it's a good idea to sign up, especially if you occasionally shop there! Disclaimer: I'm not sure if everyone will receive the $10/$10 coupons like I do, that has just been my experience so I wanted to share!